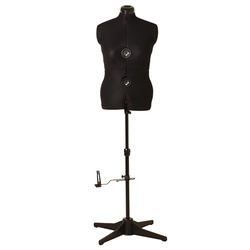 Adjustable dummy in 4 different sizes which can be adjusted as follows:neck measurement, chest measurement, waist measurement, hip measurement, skirt length, back length and height. Made of a lightweight yet strong plastic material covered with foam and nylon fabric. 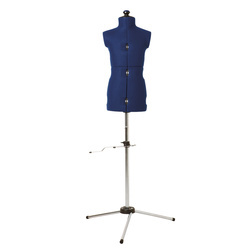 Full shoulders for optimum adjustment of sleeves, adjustable skirt marker and four legs for optimum stability.